Idiopathic cervical dystonia (ICD) is the most common form of adult-onset focal dystonia. The prevalence of dystonia is difficult to ascertain. On the basis of the best available prevalence estimates, primary dystonia may be 11.1 per 100,000 for early onset cases in Ashkenazi Jews from New York area, 60 per 100,000 for late onset cases in Northern England, and 300 per 100,000 for late onset cases in the Italian population over age 50. The chart in figure 1 displays that most of the cases were reported in the age group of 31 to 40 years of age, which indicates the prevalence of adult-onset idiopathic cervical dystonia. Genetics: There are three observations that support the hypothesis that an abnormal gene is responsible for a proportion of ICD. These hypotheses are as follows: (i) In families with childhood-onset idiopathic torsion dystonia, for which a genetic basis has been established, family members may have focal cervical or segmental dystonia (ii) It has been recognized since 1896 that torticollis may affect siblings, and adult-onset torticollis may affect multiple generations (iii) A significant percentage of first degree relatives of patients with focal dystonia have focal dystonia or tremor, and in families of patients with ICD, the prevalence of focal dystonia is higher than expected. Trauma: The prevalence of patients with cervical dystonia related to trauma is 5-21%. Injuries sustained as a result of trauma had immediate pain followed by the onset of cervical dystonia with near total neck immobility within a few days. There was no morning relief and the dystonia persisted during sleep. The presence of cervical dystonia persisted for up to four years after follow-up and responded poorly to medications and botulinum toxin. It is important to note that none of the patients who sustained trauma had a family history of dystonia. Another possible cause of ICD that has been researched is abnormalities in the brain structures. A conventional MRI Class IV study T2 bilateral abnormalities in the lentiform nucleus in ICD. However, the abnormalities were only detected on calculated T2 values; no obvious signal changes could be recognized on visual inspection of T2-weighted images. Structural changes in the lentiform nuclei, predominantly in the contralateral pallidum in patients with adult-onset focal dystonia, have been suggested by increased echogenicity of these structures on transcranial sonography. Adult torticollis, also known as cervical dystonia, presents as the rotation of the head or chin towards the shoulder. Repetitive jerking of the head may be present with spasms that can be intermittent, clonic, or tremulous. Cervical dystonia can cause disabling pain and most patients exhibit a lack of postural control. Unlike other dystonias, cervical dystonia will present with pain around 75% of the time. Alterations in vestibular function and perception of body orientation, such as differences in the vestibular-ocular reflex, vestibular hyperreactivity, and trouble recognizing postural and visual verticality may be present. The symptoms have been known to change in nature and direction. 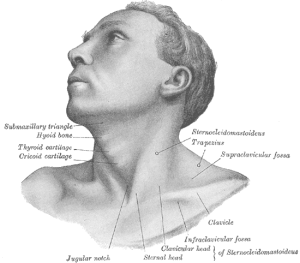 In torticollis the side that the chin rotates to decides how the condition is described. For example, if the chin is turned to the left then it would be described as “left turning torticollis”. Parkinson Disease: May present with head in a posture resembling torticollis. Will likely test positive for other nervous involvement. Tremor will be present in a sinusoidal oscillatory pattern. The therapist may also notice unsteadiness of gait, rigidity, and dyskinesia. Post-traumatic dystonia: History of recent trauma to the body region experiencing dystonia. Considered a type of secondary dystonia, onset of symptoms may come immediately after insult, or up to 12 months following. An estimated 5-21% of patients with cervical dystonia have a history of a trauma to the head or neck, although it is unclear whether the insult acted as the “trigger” for the condition. Wilson Disease: Wilson disease is an inherited disorder that can cause an accumulation of copper in the body. For a patient under age 40, with unexplained gradual onset of symptoms, a screen for Wilson disease is indicated. Adult-onset idiopathic torticollis: Gradual onset of symptoms, with up to 75% of patients reporting concurrent neck pain. May also present with jerking movements, transient spasms, shoulder elevation, stiffness/tightness, and tremor. Patients presenting with any form of adult-onset torticollis will ultimately be treated with an impairment based approach. The examination also may include a commonly used outcome measure, the Toronto Western Spasmodic Torticollis Rating Scale (TWSTRS). This scale includes an assessment of the dystonic position of the head, neck, and shoulders, the effectiveness of sensory cues, the length of time the patient can keep the head in the midline, and the range of head and neck movements. Tests are not required to make the diagnosis of adult torticollis, however they can be used to evaluate the integrity of the involved structures. Such diagnostic tests include X-rays, CT scan, and MRI. Lab studies may be useful if infection is suspected as the etiology for torticollis. Prescription medications provide only modest symptomatic benefit in the treatment of dystonia. The main purpose of oral medication is the avoidance of the causative agents. In early stages of cervical dystonia, medications used in low doses (ex. benzodiazepines, baclofen, or anticholinergic agents) may be useful. Anticholinergic agents were reported to have better outcomes than in those receiving benzodiazepines or baclofen. Side effects may include dry mouth, cognitive disturbances, diplopia, drowsiness, glaucoma, or urinary retention. This intervention has been used most commonly for the treatment of hypertonicity in various clinical populations, where it has been shown to have success. ITB was shown to be effective in treating generalized dystonia, particularly when the catheter was placed above the level of T4. Out of the 77 subjects in one trial that received ITB pumps, subjects had significantly lower dystonia scores — according to the Barry-Albright Dystonia Scale — at 3, 6, 12, and 24 months. 86% of those subjects reported improved quality of life and ease of care. The introduction of chemodenervation with botulinum toxin radically changed the prognosis of patients with idiopathic cervical dystonia. It is the most commonly used pharmacotherapy for overactive and dystonic cervical musculature. Botulinum toxin A provides graded, reversible denervation of the neuromuscular junction by preventing the release of acetylcholine from the presynaptic axon of the motor end plate. This treatment is now the first line therapy for cervical dystonia, but its true efficacy is still unknown. However, botulinum toxin benefits the highest percentage of patients in the shortest amount of time. The most important aspect to consider when administering the botulinum toxin is identification of the sites of pain and the muscles responsible for the abnormal posture. 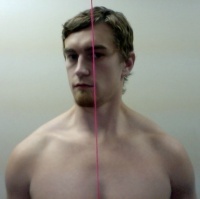 The SCM, trapezius, splenius capitus, and levator scapulae are the most commonly injected sites. A benefit from botulinum toxin is generally seen within the first week, but may rarely be delayed for up to eight weeks. The benefit lasts for an average of twelve weeks and most physicians suggest repeating injections every 3-4 months. Medications are generally used as adjuncts to botulinum toxin, although no trial has sought to demonstrate a synergistic effect. Side effects to this treatment approach may include injection site pain, dysphagia, dry mouth, excessive weakness of the injected or adjacent muscles, and fatigue. This surgical approach denervates muscles responsible for abnormal movements and reserves innervation to muscles that are noncontributory. According to a study, the surgical outcomes of 260 subjects reported an 88% success rate based on a 4-point scale (poor, fair, very good, or excellent) evaluating the presence or absence of detectable abnormal movements. Muscles selected for denervation should be chosen on the basis of an examination of abnormal movements and confirmation with EMG recording. Patients with pure rotary torticollis with mild extension show the best postoperative results. Side effects may include transient balance problems, transient dysesthesia or sensory loss in denervated posterior cervical segments, wound infection, and dysphagia. The use of DBS of the globus pallidus internus (GPi) or the subthalamic nucleus (STN) was implemented in patients with intractable cervical dystonia. This surgery involves the placement of microelectrodes into the GPi, typically bilaterally, with identification of the GPi and guidance of the microelectrode placement by microstimulation. It has been demonstrated that DBS maintains marked symptomatic and functional improvement in the majority of patients with dystonia for the long term, and it also appears that patients with cervical and generalized dystonia gain similar long-term improvement. One negative aspect of this intervention is that multiple visits are required to properly program the settings for the stimulator, but some advantages to this procedure include the reversibility of the procedure, the ability to adjust the stimulation parameters, and continued access to the therapeutic target. It has also been suggested that DBS reduces the use of oral medications. Side effects include infection, lead fractures, battery failure, and perioral tightness during DBS adjustment visits. No study has taken place that has examined the use of physical therapy as an adjunct to DBS surgery. Both the deep brain stimulation (DBS) and the selective peripheral denervation groups showed gradual improvement. There was no significant differences between the two interventions, however, DBS may trend towards greater pain reduction. Little research has been done on physical therapy management of adult torticollis. No randomized controlled trials have been conducted, and the studies performed on specific interventions — such as vibration therapy and progressive muscular relaxation — consist of case studies or small sample sizes without control groups. Therefore, management of the adult patient with torticollis will follow an impairment based approach tailored to the individual. Zetterberg et al conducted an ABA-style case series studying the effects of progressive muscle relaxation, isometric muscle contractions, exercises for improving coordination, balance, and perception, and stretching. Outcome measures were patient quality of life and pain, using the TWSTRS. Patients demonstrated short term benefits from the interventions provided, and regressed when the protocol was halted. Half of the patients regressed to the baseline VAS scores at the 6 month follow-up. Karnath et al documented the effects of vibratory stimulation on a single patient. Vibration directly to the contracted muscle, with a duration of either 5 seconds or 15 minutes, demonstrated the ability of the muscle to relax, and normal head posture to be assumed. Relaxation times were not documented, but it was reported that the patient was able to maintain a relaxed position for a longer time following the 15 minute treatment. The primary impairments associated with adult torticollis are decreased range of motion, pain, and problems with postural control. Since torticollis usually involves contractions of the sternocleidomastoid and scalene muscles which perform cervical flexion, lateral flexion, and rotation, antagonist strengthening may improve posture. Strengthening the contralateral sternocleidomastoid and scalene muscles along with the primary neck extensors may aid the patient in achieving proper head position. If the patient has been in the contracted position for a long period of time stretching accompanied with relaxation techniques may help restore natural muscle length. If this causes an increase in pain or does not yield positive results refrain from this intervention. Given that mobilization is widely accepted intervention for general cervical pain, this may be an effective technique for pain modulation in this patient population. However, since impairment based approach focuses on the individual needs of the patient, the therapist will need to determine if the patient is able to relax sufficiently to benefit from mobilization. Palliative interventions may also include soft tissue mobilization at the therapist’s discretion. This presentation, created by Brandon Plyler, Samantha Richter, Kenny Rodriquez, Brent McElfresh; Texas State Class of 2014, Evidence-based Practice projects for PT7539 Ortho Spine course. Given the absence of randomized controlled trials, and general paucity of research on physical therapy interventions for adult torticollis, and considering the fact that the physical therapist cannot address the cause of an idiopathic condition, there is no universally accepted intervention for the condition. An impairment based approach focusing on the individual patient’s restrictions and limitations will produce the best outcomes. Primary components of treatment should include pain control, range of motion, and postural cuing. If the treating therapist has suspicion of Wilson or Alzheimer disease that is not indicated in the patient history, proper referral protocols should be followed. ↑ 1.00 1.01 1.02 1.03 1.04 1.05 1.06 1.07 1.08 1.09 1.10 1.11 1.12 1.13 1.14 1.15 1.16 1.17 1.18 1.19 Crowner BE. Cervical dystonia: disease profile and clinical management. Phys Ther 2007;87(11):1511–26. ↑ 2.0 2.1 2.2 Velickovic M, Benabou R, Brin M. Cervical dystonia pathophysiology and treatment options. Drugs 2001;61(13):1921-43. ↑ 3.0 3.1 Jankovic A, Tsui J, Bergeron C. Prevalence of cervical dystonia and spasmodic torticollis in the United States general population. Parkinsonism Relat Disord 2007;13:411-6. ↑ 4.0 4.1 Albanese A, Barnes MP, Bhatia KP, Fernandez-Alvarez E, Filippini G, Gasser T, Krauss JK, Newton A, Rektor I, Savoiardo M, Valls-Solè J. A systematic review on the diagnosis and treatment of primary (idiopathic) dystonia and dystonia plus syndromes: report of a EFNS/MDS-ES Task Force. Eur J Neurol 2006;13:433-44. ↑ Camargo C, Teive H, Becker N, Baran M, Scola R, Werneck L. Cervical dystonia: clinical and therapeutic features in 85 patients. Arq Neuropsiquiatr 2008;66(1):15-21. ↑ 6.0 6.1 6.2 6.3 6.4 6.5 6.6 Dauer WT, Burke RE, Greene P, Fahn S. Current concepts on the clinical features, aetiology and management of idiopathic cervical dystonia. Brain 1998;121:547-60. ↑ 7.0 7.1 7.2 Geyer HL, Bressman SB. The diagnosis of dystonia. Lancet Neurol 2006;5:780-90. ↑ Fleischman DA, Wilson RS. Parkinsonian signs and functional disability in old age. Exp Aging Res 2007;33:59-76. ↑ El-Youssef M. Wilson Disease. Mayo Clinic Proc 2003;78:1126-36. ↑ 10.0 10.1 Costa J, Espirito-Santo CC, Borges AA, et al. Botulinim toxin type A therapy for cervical dystonia (Review). Cochrane Library 2009; 1. ↑ Loher TJ, Capelle HH, Kaelin-Lang A, Weber S, Weigel R, Burgunder JM, Krauss JK. Deep brain stimulation for dystonia: outcome at long-term follow-up. J Neurol 2008;255:881-4. ↑ Huh R, Han IB, Chung M, Chung S. Comparison of treatment results between selective peripheral denervation and deep brain stimulation in patients with cervical dystonia. Stereotact Funct Neurosurg 2010;88(4):234-8. ↑ 13.0 13.1 Zetterberg L, Halvorsen K, Farnstrand C, Aquilonios SM, Lindmark B. Physiotherapy in cervical dystonia: six experimental single-case studies. Physiotherapy Theory Pract 2008;24(4):275-90. ↑ 14.0 14.1 Karnath HO, Konczak J, Dichgans J. Effect of prolonged neck muscle vibration on lateral head tilt in severe spasmodic torticollis. J Neurol Neurosurg Psychiatry 2000;69:658-60.